The bathroom might be the smallest room in your home, but it still offers plenty of opportunities for stylish renovations. If you’re thinking about making some changes to your own space, it can help to seek out some stylish inspiration and input from professionals. The experts at Premo & Son’s Home Improvement in Gales Ferry, CT, know a great bathroom when they see one. Here, they share some stylish ideas for bathroom renovations to get your creative wheels turning. Do you ever want to escape the stress of everyday life? Use crisp whites and serene neutrals to create a peaceful space where your worries can melt away. Bring in natural textures like stone and add some plants and outdoor elements to create that perfect spa experience, so you can bathe in a tranquil environment. If you’re craving a beach vacation, you can create a nautical-inspired space in your bathroom to recreate that experience. Use natural blue hues in your paint and artwork and add light granite countertops to mimic sandy beaches. If you want your room to feel open and airy, you can knock down the door and, instead, use a partial wall to separate the bathroom from the rest of your master suite. Then, use translucent curtains over the windows and a clear shower door to make the whole room flow together perfectly. 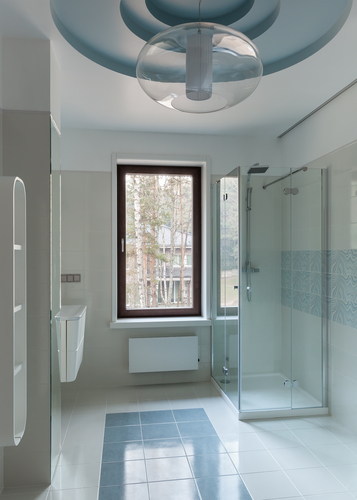 If any of these bathroom renovation ideas strike a chord with you, contact the home remodeling experts at Premo & Son’s Home Improvement to turn them into reality. The company offers a whole array of home improvement services ranging from roof repair to basement and bathroom renovations, so you can make sure all your projects are completed by professionals you know and trust. Call them today at (860) 770-2331 to schedule a consultation, or visit their website to learn more about their services.